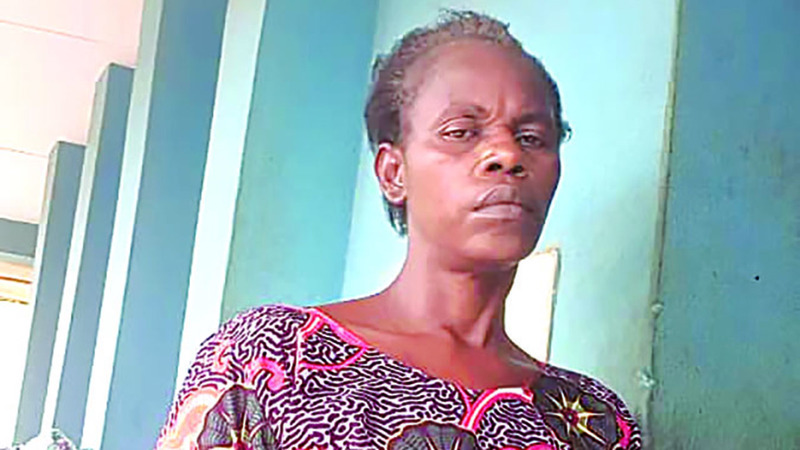 Egeonu for stealing N6, 500.
the state, where he was hurriedly buried to cover up her crime. It was learnt that the suspect was arrested following a report by the deceased’s mother, Ijeoma Egeonu at Agbado Divisional headquarters on the strength of the report, the DPO Agbado Division CSP Omonijo Olatunji led his detectives to the scene where the woman was promptly arrested. “On interrogation, the suspect claimed the boy stole her money, which prompted her to flog him to the point of coma. She further stated that the boy gave up the ghost while she was taking him to the hospital and that it was later discovered that the missing money was taken by her husband and not the dead child as suspected. She has since taken detectives to where the boy was hurriedly buried. Criminal Investigation and Intelligence Department for further probe.